The 3138-N 17" Powered Unwind printer applicator is every bit as advanced a workhorse as the standard 3138-N and has all the same key features. 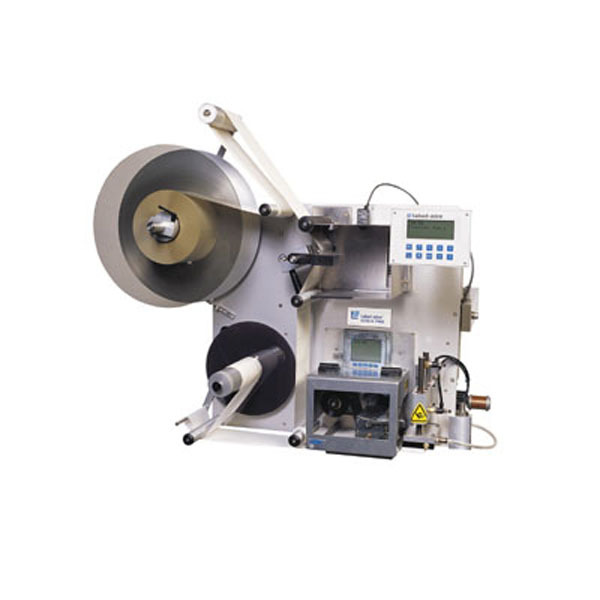 Advanced features include automatic setup with multiple programmable label pages for easy change-overs to labels of different sizes, rate compensation for improved label placement accuracy, and advanced user-configurable I/O connectivity. All these handy features greatly simplify setup and change-overs. Like all 3138 models, the 3138-N 17" Powered Unwind is just as tough as it is versatile and advanced. The increased roll capacity of the large 17" (432 mm) powered unwind is perfect for high-speed, heavy duty operation. The 3138-N's rugged stainless steel and anodized aluminum construction is corrosion resistant providing long-lasting durability and maintenance-free operation in the most hostile environments. Like all Label-Aire printer applicators, the 3138-N 17" Powered Unwind is compatible with any O.E.M. printer on the market.